Wearing: Chi Chi Clothing dress (buy here! ), Thrifted hat + shoes, ZeroUV sunglasses. Having only one other Chi Chi Clothing dress besides this one, I just thought I got lucky with that one, because that dress is pretty much perfection. 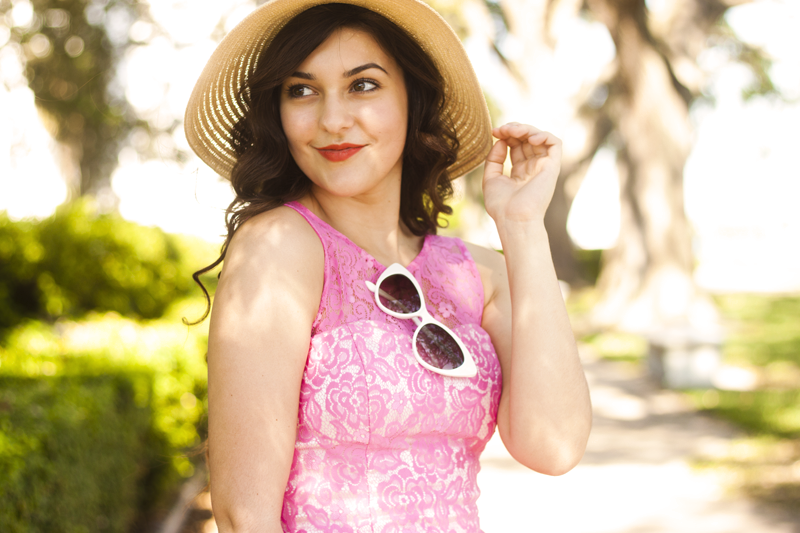 But when I saw this one, I thought it would be the perfect summer dress, because not only is it pretty and pink and lace-y, but it is also fit and flare, and I cannot resist a good fit and flare dress. 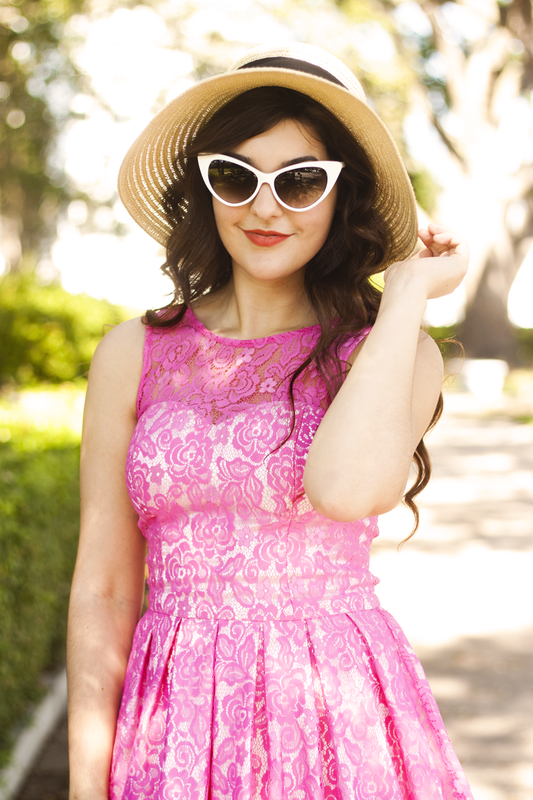 I was so happy when I got it in the mail and put it on, because this while this dress is sort of thick as the bottom due to a layer of tulle, a slip, and then the lace, it was still such a light weight and airy dress, which is great for summer days! Words cannot even begin to describe how much I love this little dress, and how positive I am on the fact that Chi Chi Clothing has the best dresses ever, especially for my style! I just want them all now! ALSO - If you haven't entered my latest content yet, make sure you enter here! Your dress is beautiful! I love the hat your paired with it! So girly and classy. such a pretty dress, and it looks so lovely on you! I especially like it with those shoes. This outfit is PERFECT. Love the shape of those glasses. This dress is absolutely stunning! 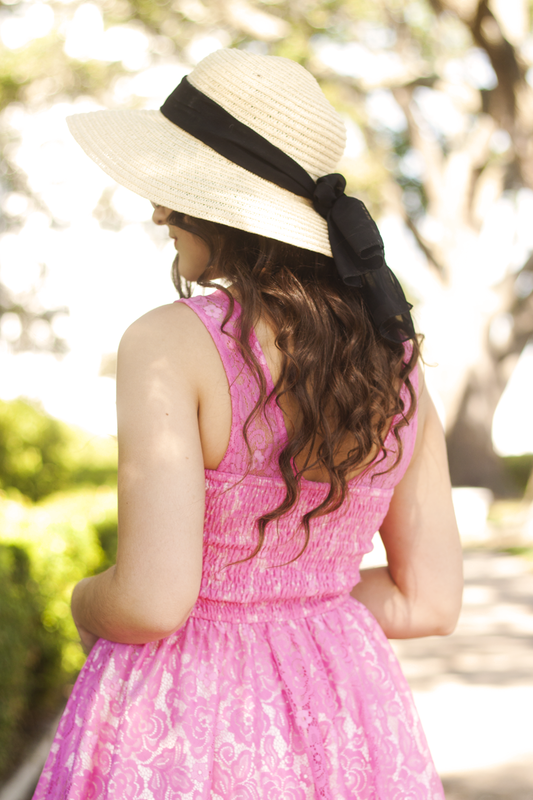 Just the pink lace and the style is breathtaking. 9 Tips For Self Designing Your Blog! Giveaway: Win A Deux Lux "Blake Wing Tote" Bag!